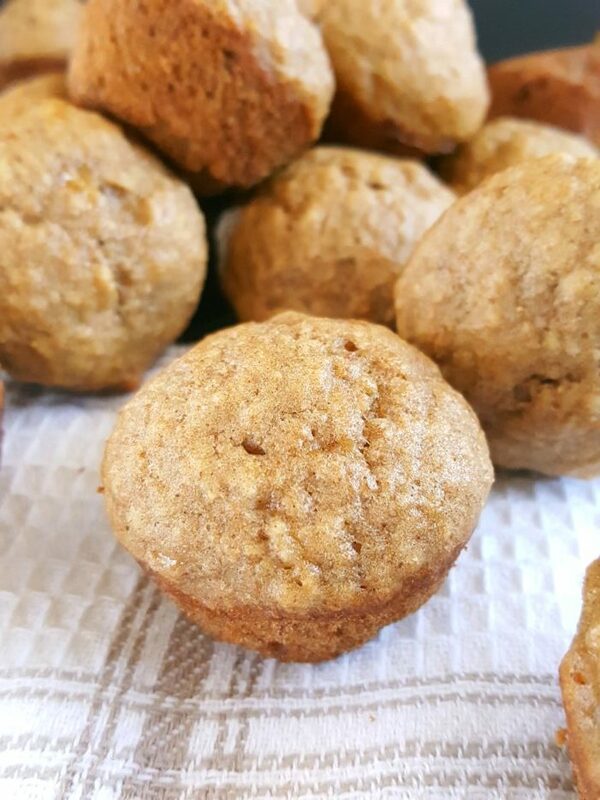 Here’s a simple and easy recipe for moist healthy banana muffins in mini form that toddlers (and kids) absolutely love! It all comes together in one bowl and they’re ready in less than 30 minutes. These dairy-free mini muffins make for a fun and healthy breakfast or snack. 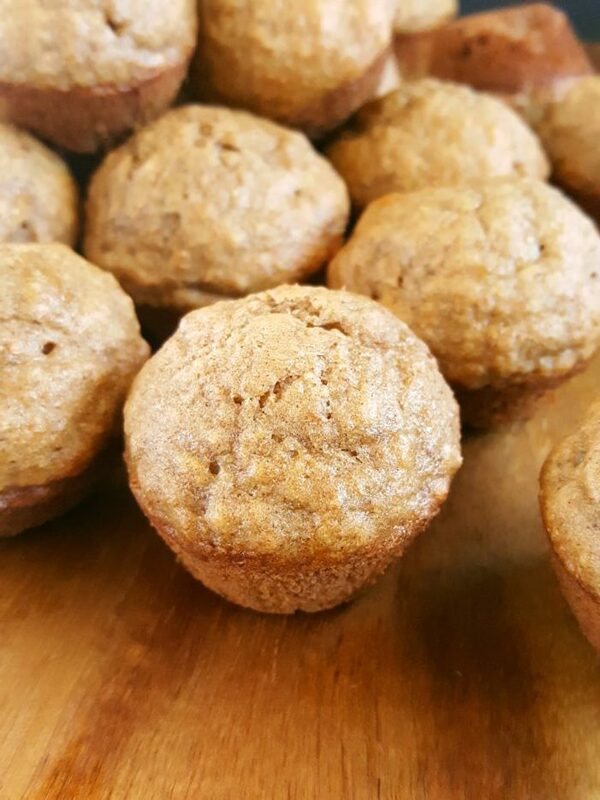 Who else loves having banana muffins for breakfast? It’s one of my favorites. 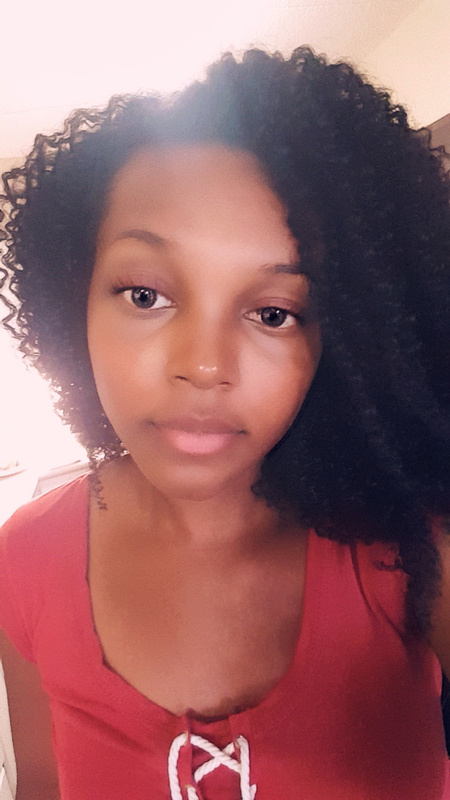 I’m convinced it’s everyone’s favorite at this point. When I wake up in the morning I’m usually tired and I don’t want to make anything because I always wake up starving and so do my kids! The apple doesn’t fall far from the tree; or in this case, the banana? That’s one of the reasons why I love these mini muffins because they’re so easy to make and they literally take about 11 minutes to bake. If you’re looking for a delicious and easy recipe for mini banana muffins for toddlers and kids, look no further! I have to admit that I’m kind of a muffin addict. I make them all the time. Most of the recipes here on Beat Bake Eat are muffin recipes. However, I never used to like the thought of making mini muffins. I mean, what’s the point really? Why not just make them regular-sized? But after making these blueberry banana ones I realized why people like them so much. They’re so much fun to eat and you can eat more without actually feeling like you’re eating more. My kids love these little muffins! They always squeal and cackle every time I make them because they’re so tiny compared to this full-sized ones we usually have. I decided to make these because we’ve been having way too many junk food breakfasts. You know exactly what I’m talking about. Sometimes you have breakfast foods that aren’t really breakfast food because it’s easier to just throw some high corn syrup O’s cereal in a bowl with some milk and eat it. We all do this. I’m guilty of it too. It’s quick and definitely convenient but it’s not healthy. This recipe is though! 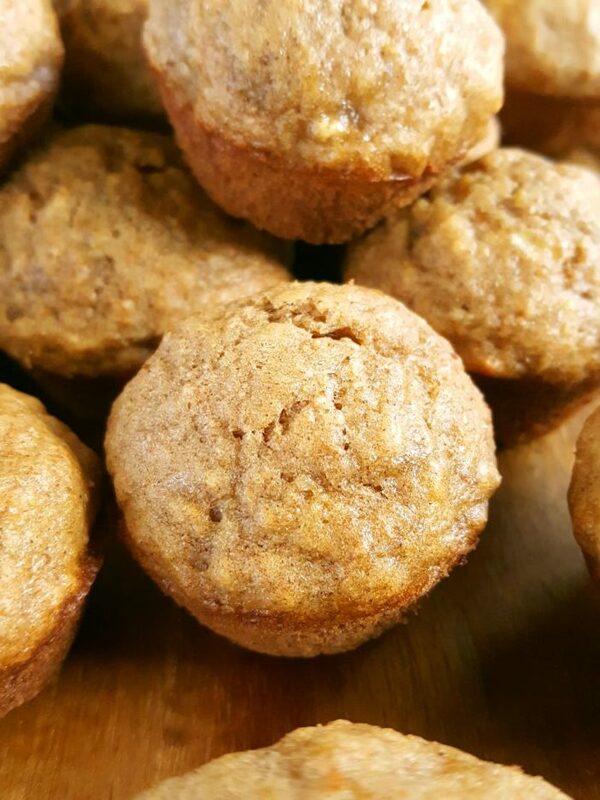 You’ll see just how fast these whole wheat mini banana muffins disappear. They’re toddler approved muffins. Two thumbs up, and a pinky. When I was writing up this recipe I knew that these would be muffins kids will love, and I was right. And not only do these muffins make for a healthy toddler breakfast, they’re great for the lunchbox too. Yes, you read that right! These muffins are only 70 calories per serving! They have less sugar per serving compared to other muffins and less saturated fat too, but still just as delicious. 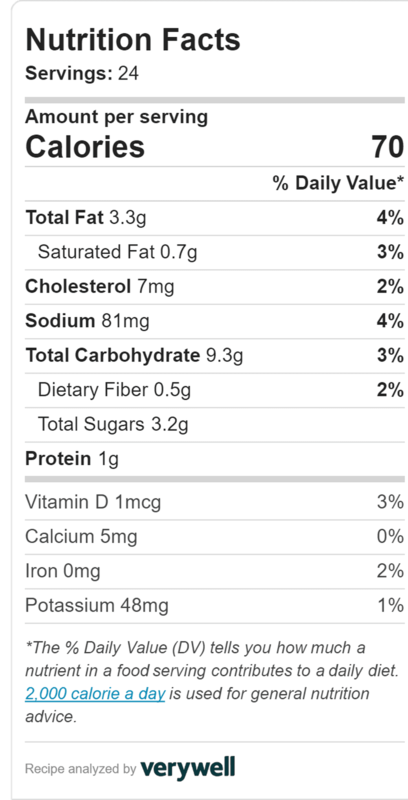 I’m telling you these low fat banana muffins are good all around. They taste good and they’re really good for you too. In other words, they’re delicious and nutritious! A mini banana bread muffin recipe that’s not only healthy but delicious too is winner in my book. 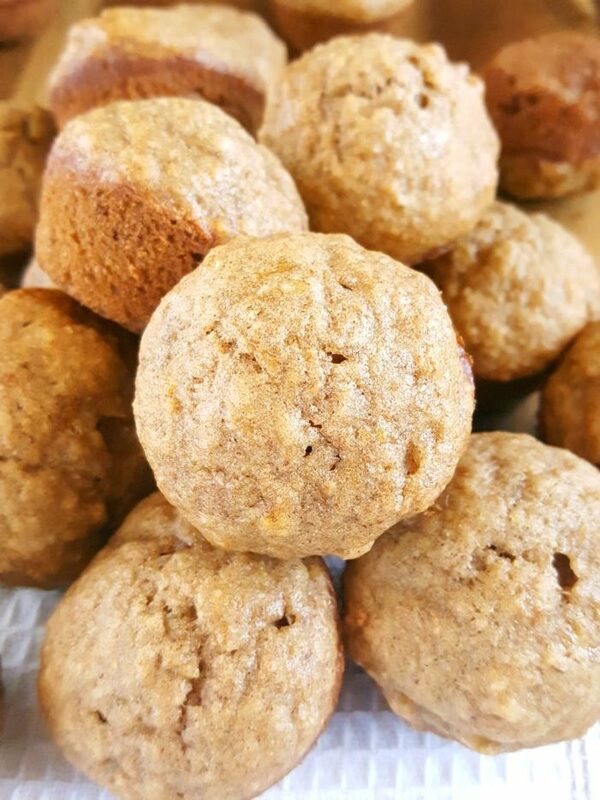 This recipe is completely dairy-free so there’s no butter and no milk, but these banana bread muffins are so moist that you won’t miss either of them. The 2 bananas in this recipe are not only responsible for moisture but for sweetness as well so make sure that they are overripe (freckled and slightly brown). Another ingredient responsible for moisture in this recipe is the oil. You can use vegetable oil, melted coconut oil, or any other flavorless oil. These babies are made with brown sugar. There’s only a 1/3 in this recipe which adds so much flavor, moisture, and the perfect amount of sweetness (because we don’t need these kids bouncing off the walls). You can also use coconut sugar. 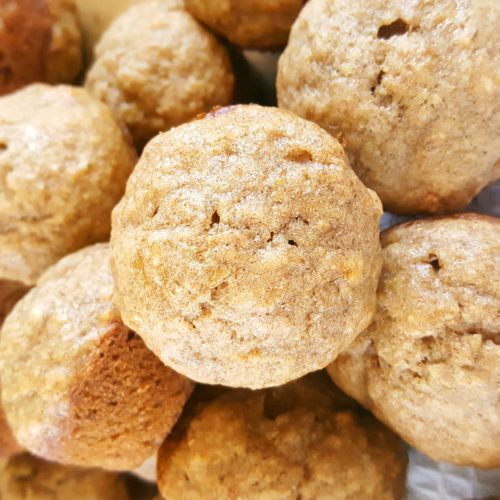 Since these mini banana muffins are whole wheat they’re quite filling. In fact, they’re so filling that I usually don’t serve them with anything else. Although this is a banana muffin recipe for kids don’t let that stop you from munching on them. They’re so good. No one can resist moist banana muffins. Healthy muffins for toddlers are hard to come by that’s why I just make them from scratch instead of wasting my time (and money) looking for them. Try these mini healthy chocolate chip muffins next! It’s another great recipe. Here's a simple and easy recipe for moist banana muffins in mini form that toddlers (and kids) absolutely love! It all comes together in one bowl and they're ready in less than 30 minutes. These dairy-free mini muffins make for a fun and healthy breakfast or snack. In a large bowl combine the bananas, sugar, cinnamon, and salt. Add the flour and baking soda and mix until fully incorporated. Do not overmix. Scoop the batter into the mini muffin pan filling the cups to the top. Bake for 10 – 12 minutes until toothpick inserted comes out clean. Cool in pan 5 minutes then remove to cool completely.